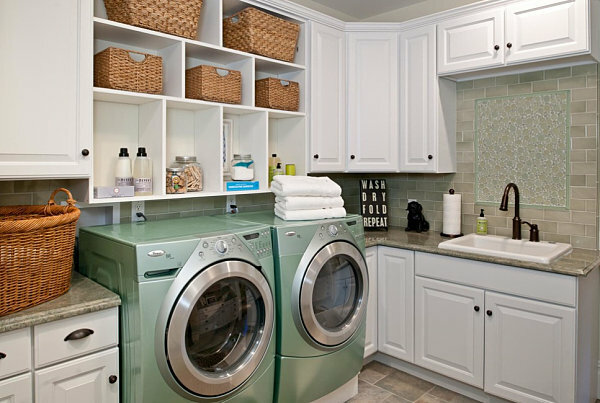 A laundry room is not only a significant part of your home, but also a determinant of your style and personality. While exuding panache and trend, it should also be incredibly functional. If you’re truly baffled about choosing the right laundry room, here are ten ideas that’ll work like magic. Check them out. Yes. 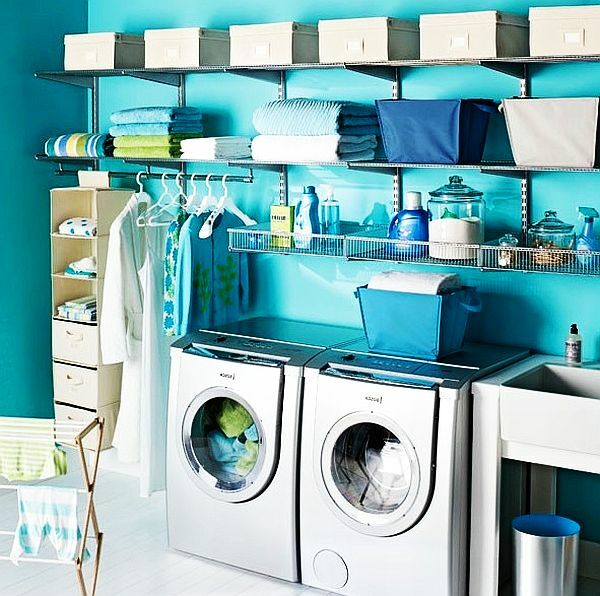 You can always make your laundry zone bright and vibrant with a dab of paint. Go for a color which is resplendent and that lifts your mood almost instantly. Among the very many options, you can choose from yellow, citrus, lemon green or even light orange. Monochromatic colors are an equally great option as they not only brighten the room but also lift up your mood. Counter space is highly necessary for folding and placing your laundry basket and a couple of other things while you do your job. Go for a customized counter top by adding a dryer and washer, just next to the counter space. No. Laundry cabinets are not really an expensive affair. Simply get some regular cabinets, paint them and you’ll get bright and stylish laundry cabinets that you always wanted to have. You can also add a versatile drawer style bar as it’ll act both as the hanger rack and the towel. If you are suffering from space crunch, try to stack the washer and the dryer vertically. This is an excellent way to make your laundry area functional despite the space crunch. Another excellent way would be to directly mount them from the floor. Raising these items would eliminate the necessity of bending over for the process of loading and unloading. What’s better than a spacious laundry room that not only looks good but also turns out to be equally functional? Try adding a lot of wall cubicles, baskets, hanging bars for clothes and floating shelves to add the storage space of your laundry room. Good lighting is highly essential in a proper laundry room. The under cabinet lights or a large fixture over the head not merely enlightens or brightens your space, but it also helps you to detect spots and other similar stains on the laundry stuff before you get them washed. A well designed wall, a proper cabinet or even a drop-down ironing board is an excellent way to hide up those excessive clutters. Well, laundry room is one of the most neglected sections of your home. But you can’t really afford to keep it boring. Add some visual interest to the walls with quirky and innovative patterns. 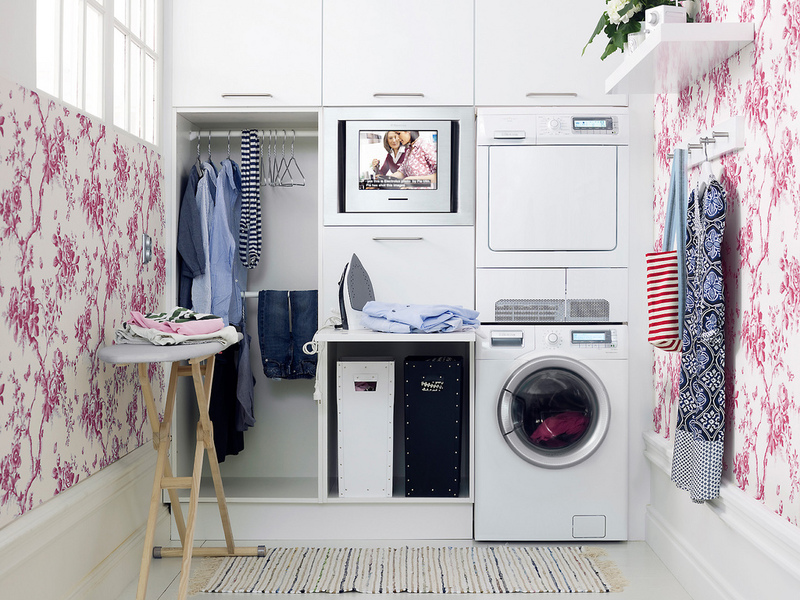 If you have a space crunch, you can use your laundry room for many purposes. It can be your craft room, mud room, sports equipment storage room or even a room where you store your household supplies. Well, you can always do this by adding a lot of shelves and taking care of the clearances, which will ensure that the doors are closed when the room is not being used. Almost all these ideas are easy to follow. Try them and transform your boring laundry room into a stylish and functional space.